Seriously, how can you go wrong with Nutella in anything? 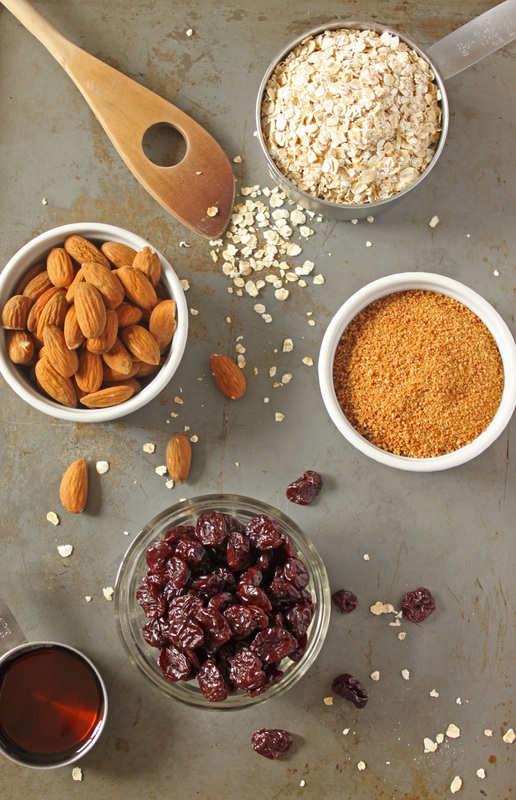 what a great idea to incorporate it into granola. Sounds amazing! Now this is the way to start the morning. I can’t think of a better combination of flavors in a granola. A great way to start the day. Thanks for sharing. Wow, all your recipes are so good. You have the variety indeed! Excellent way to get a little more guilt-free Nutella into my diet! I love that stuff. Have you ever tried the Chocolate Hazelnut Butter from Justin’s? It’s Nutella, but healthier. I don’t think it’s crazy at all! We used to add chocolate chips to my mum’s homemade granola while it was still hot out of the oven, and stir it around until it all became chocolatey. Why NOT Nutella??? 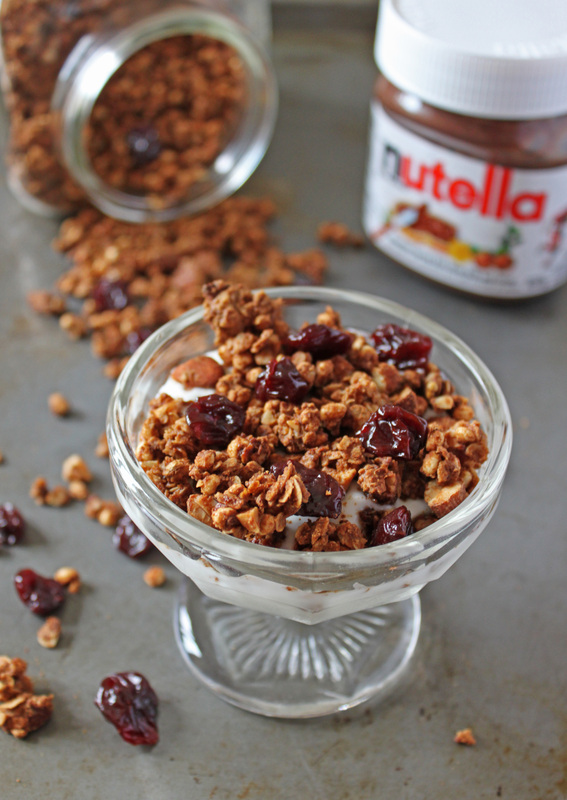 I love the idea of nutella granola. I actually love the idea of adding nutella to just about anything! I also am going to start incorporating puffed millet. I am always the basic rolled oats kind of gal. This looks and sounds really, really good. I’m going to try it with some of my homemade nutella! All my favorite flavors in one bowl. Wowzer! Can I just say wow… That looks do good, I’m now glad that I finished the last of my granola last week so I can I make this recipe!! hehe! Genius! Who doesn’t need another reason to eat Nutella?! Nutella and cherries. What a great combination! This is the type of granola recipe you wouldn’t only save for breakfast….you’d want to eat for dessert after breakfast and every subsequent meal as well! – 10:46 Too cute! And so easy. I’m going to be making this one for my wee girl. She’ll be thleirld and won’t mind at all that Halloween is already done.Following you from the Halloween Hop. Nutella in granola. What a great idea! Beautiful photos too. Nice mix of flavors here-nutella and cherries. Will have to try it. Thanks for posting. What a great combination of ingredients! I’m going to have to try this one. Yum! I love granola! I eat it alosmt every morning with greek yogurt and berries. I love making whole foods it just makes me feel so much better knowing what I am putting in my body, and in turn in my little one’s body Thanks for sharing and I hope you are feeling better!